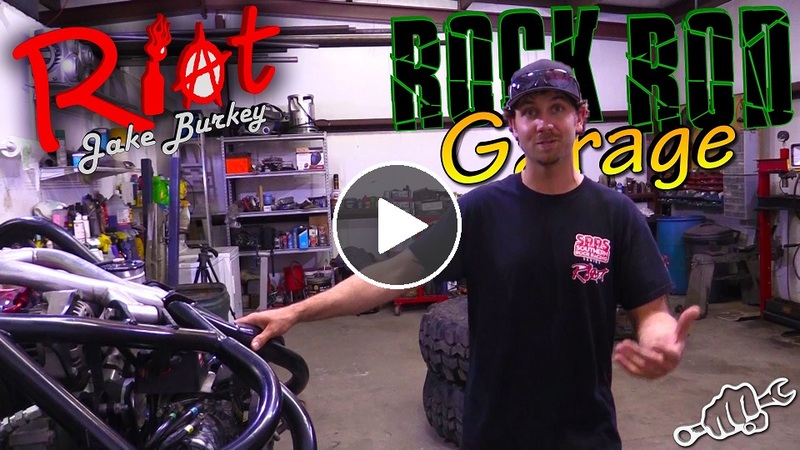 On Rock Rod Garage Episode 2 we take you to Clark Hill, South Carolina to talk to Travis the Hitman Lovett. Get a chance to check out his shop full of Rock Bouncers. I met Travis way back in the day when I first started filming. He was in his old monster buggy at River Rock in Georgia. Him and his buddy LC were some of the only rock bouncers there and they were putting on one heck of a show. They didn’t know me but allowed me to put some in cab cameras on their buggies. They had no problem showing out for the cameras. Fast forward a few years later and we are pretty good friends. Travis let me take the original Hitman buggy all the way to California for King of the Hammers back in 2012. I mean…Who Does that? This past year he once again take his latest buggy Kill Shot all the way to California to race it in the East vs. West shootout. I got the chance to check out his shop while doing a cage build in Georgia. We finished the build up around 6pm on Sunday and I raced over to Travis’s shop to do the interview before making the long 7 hour drive back to Alabama. When i got there it just looked like your typical shop nestled in the woods by his Dad’s house. When he opened the massive roll up door it looked like a gearhead’s paradise. He had both of his buggies setup in there. Pinball machine in the corner and a pool table where a game was going down. Don’t forget about all the gun’s and ammo floating around. They don’t call him Hitman for nothing. Check out the episode and get a behind the scenes feel for one of the best drivers in the sport of rock bouncing. For more episodes be sure to subscribe to the Busted Knuckle Video Youtube Channel. We also have tons of apparel you can purchase in the Busted Knuckle Online Store.